Before you visit the military commissary, be sure to visit MyMilitarySavings.com first so you can take advantage of all of the exciting savings that we have to offer. We understand that planning ahead for shopping trips can be difficult for members of the armed forces and their families. That’s why we provide discount information from various manufacturers and coupon providers in order to bring you easy access to up-to-date deals right at your fingertips. With your free membership, you’ll also gain access to a bustling community of fellow military shoppers and their families. We provide an outlet for people to share their shopping experiences at the military commissary and exchange stores, as well as recipes, health tips, and more. Also, feel free to take a look at our popular Facebook and Pinterest pages. 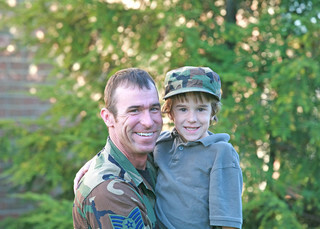 To start saving at the military commissary and exchange stores, sign up for free at MyMilitarySavings.com today.